Agents and brokers are experiencing a significant shift in the way they operate due to the various technological disruptions taking place within the insurance landscape. Digitization and automation of business processes have become a necessity to provide the personalized customer experiences. To this end, insurance agencies are adopting broker management solutions to help agents and brokers stay on par with the technological disruptions and achieve better productivity. These solutions help them simplify insurance processes, estimate and manage risks, provide advice on insurance policies which precisely fit as per the customer requirements, and advocate settlement of claims. 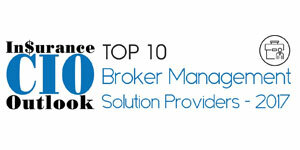 With the decline in face-to-face contact and more of information exchange taking place on social media, the broker management solutions come integrated with social media platforms, enabling brokers and agents to reach out to targeted customers easily. Also, taking notice of growing importance of smartphones in one’s daily life, these solutions are developed with mobile-friendly architecture and easily accessible through mobile devices to facilitate better customer engagement. The data analytics feature of these solutions helps insurance agencies categorize their weaknesses and strength to increase their productivity and streamline their business operations. Additionally, data analytics can also help them locate their target audience and plan strategies to reach out to them. In a nut shell, the broker management solutions adopt myriad of other technologies as well, including IoT, cloud, machine learning, artificial intelligence and more with a singular aim of supporting insurance agencies facilitate better customer service and deal with the upcoming challenges. 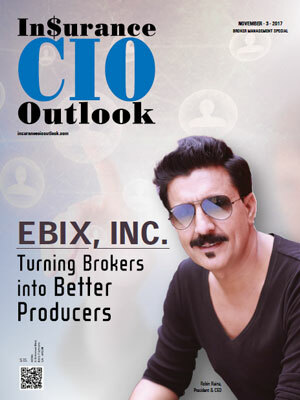 Taking all these factors into consideration, Insurance CIO Outlook has outlined top 10 companies offering cost-effective and best-of-breed solutions for broker management which helps agents and brokers who look forward to engaging with customers and grow their business.